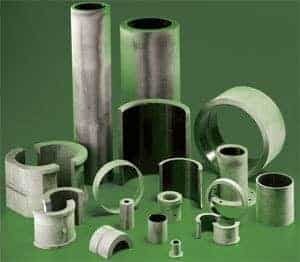 Kor-Pak is a successful supplier of high-quality Phenolic Impregnated Bearings Laminates that are used in several industries. Flat molded plates are used in numerous wear, impact and pressure applications. The unique properties of Gatke materials along with the ease of fabricating parts into numerous configurations, makes Gatke an excellent choice for your critical wear applications. 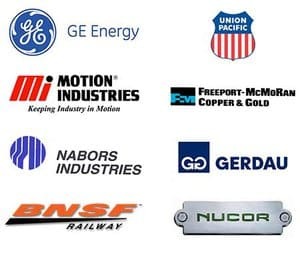 Our signature Gatke product line is used in several industries and a variety of applications. This includes: Roll Stands in Steel and Aluminum Mills, Screw Conveyors, Water Treatment Facilities, Construction Equipment, Paper Mills, among many others. Gatke is offered in various grades and compounds such as: Laminated Medium Weave Cotton Fabric (Hydrotex), Laminated Cotton Fabric with Moly (Molytex), and Laminated Glass Fiber with Teflon. These impregnated and self-lubricating materials offer distinct advantages over alternative materials and can withstand harsh environments and high temperatures. Gatke molded fabric bearings far outlast metal as they are chemically designed to withstand the harshest applications. During manufacturing, the molding pressure is applied in the direction of the bearing load which gives Gatke bearings their unique strength characteristics. Their extreme hardness makes them unbelievably tough and long wearing. But they are also very resilient which means they can withstand repeated shocks and heavy loads that literally destroy metal and plastic bearings. In fact, you can run Gatke bearings without lubrication and they won’t create the galling and scoring that would result with metal bearings. 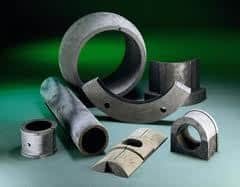 These bearings are available in a variety of formulations to specifically meet the friction and strength needs of the application. Kor-Pak’s staff will help you select the appropriate material and assist you in designing a custom product that provides the optimal solution for your needs. Kor-Pak supplies bearings, bushings and gears made from a wide range of non-metallic, industrial materials. Our CNC machining and lathe turning capabilities allow us to make parts from ½” to 50″ diameters for nearly any industrial application. Traction Support Bearing: EMD Part ..
Traction Support Bearing made from Gatke 398 self-lubricating Phenolic material.